It does not matter whether your house is newly built or several decades old, harsh storm conditions such as heavy winds, rain, hailstones and fallen trees can end up causing damage to your roof. 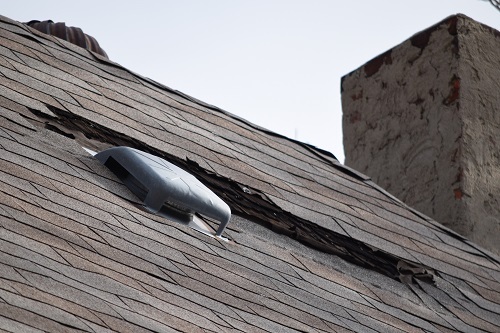 Leaving the roof damage unattended can worsen the situation and cause leaks and other issues. Loose tiles or shingles on your roof can also fall without warning, causing serious roof damage. At Thomas Quality Construction, we understand the difficulties that you may be facing and we’re ready to begin work as soon as you call us. Whether you have a shingle, tile, slate, copper or flat roof, you can depend on Thomas Quality Construction as your roofing contractor in Central Kentucky. Keeping a better-performing and longer-lasting roof means dealing with potential issues promptly before they worsen. Given how even the smallest of leaks can allow for extensive roof damage, it pays to hire a reliable roofing contractor who can provide the best results. Thomas Quality Construction has years of experience in repairing roof damage with the necessary licenses, bonds and insurance to ensure a safer and smoother process. Sometimes, finding the source of a roof leak is a complicated process. That’s because the specific problem area on your roof is rarely located directly above the leak. Because we have years of experience in repairing and replacing roofs, we are fully equipped to provide precise repairs so you can enjoy a dry living area, again. Perhaps you need more than roof repair. It may be that it’s time for a complete roof replacement. Thomas Quality Construction can do the job and do it right. Thomas Quality Construction will do an insurance claim consult and inspect for wind or hail damage to see if you qualify to have your insurance company pay for a new roof. We start with an inspection of your roof and a free estimate. If your project is covered by your homeowner’s insurance, we will work with your adjuster to ensure that you receive the quality roof installation that you deserve. We realize that a roof replacement is a large project that may disrupt your peaceful life while it’s in progress. Our goal is to make this process as hassle-free and pleasant as possible for you. Because we treat your property as if it was our own, our crew will protect your landscaping, decks, driveways and walls during the roof tear-off and installation. We’ll work fast and efficiently to complete the new roof as quickly as possible. We make you and your home a number one priority. Locally owned and operated, Thomas Quality Construction utilizes the utmost professional methods and state-of-the-art technology to get the job right. Honest and fair dealings, the best quality materials and excellent workmanship make Thomas Quality Construction your number one choice for roof damage repair. These certifications enable Thomas Quality Construction to offer outstanding manufacturer labor and material warranties on our work that other contractors don’t offer. Since we are a Certain Teed Select Shingle Master, Thomas Quality Construction can offer a 5 Star – 50 year lifetime warranty. Our Owens Corning Preferred Contractor certification enables us to offer our clients a platinum lifetime warranty. Thomas Quality Construction is LEAD certified, which protects the public from lead-based paint hazards associated with remodeling, renovation, repair and painting activities. Thomas Quality Construction is a GREEN efficient company, wherein we use resources more efficiently while creating more energy-efficient and sustainable homes and businesses. Thomas Quality Construction offers various financing options for roof replacements, insurance deductibles and product upgrades. The roof damage experts at Thomas Quality Construction cover everything from small to large-sized single family homes, condos, duplexes, large apartment buildings and townhouse complexes, as well as commercial flat roofing systems repair and replacement. We provide the most extensive roof damage repair service in Central Kentucky. You can trust Thomas Construction Company for your roof damage repair. We take great pride in our work and we will treat you right. Rest assured that you will be satisfied with our work. Competitive pricing, attention to detail, great workmanship, excellent customer service and unprecedented warranties have provided Thomas Quality Construction with countless referrals, the backbone of our business. Thomas Quality Construction is always ready and able to provide fast and solid roof damage repair services. Contact us at Thomas Quality Construction.